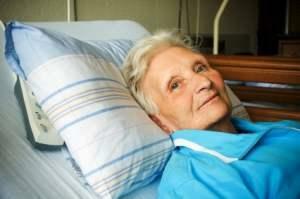 In some cases, restraints need to be used to ensure that a person does not hurt themselves in long-term care. But the current guidelines for the use of restraints has changed over the years. Find out why restraints might be used and the proper ways they are used in a long-term care facility. Restraints are any items that are used to prevent movement of a patient. Straps, belts, restrictive vests, cuffs, and special chairs or bedside rails are restraints. Other items can be used as restraints, even if they were not originally designed for that purpose. The classification of an item as a restraint depends on the purpose for which it is used. Any item that is used to restrict a patient's movement can be considered a restraint. A bed rail could be considered an assistive device to allow a patient to turn in bed or get out of bed; however, if that same bed rail keeps the patient from getting out of bed, it would be considered a restraint. Until very recently, it was not uncommon for staff people in long-term care facilities to restrain patients for a number of reasons. Concern that patients might hurt themselves or someone else was a leading reason for restraint. However, it was not unusual for overworked nursing staff members to restrain patients to simply keep them from wandering or to keep them from being a nuisance. In fact, restrained patients sometimes hurt themselves trying to escape from or remove restraints. Through staff education, long-term care facilities are working to comply with these guidelines. Even proprietary facilities that do not receive Medicare or Medicaid monies are complying with these rules because rules written by state licensing boards tend to fall in line with federal guidelines. There will always be some facilities, however, that are not compliant. Good care costs money, and more nursing staff members are needed to monitor and care for patients who are not restrained. If someone in your family is in restraints in long-term care, you will want to monitor compliance with the guidelines for use of restraints. If the rules are not being followed, you do have recourse. First, contact the head nurse responsible for the care of your family member. If the issue is not resolved, contact the facility's administrator and let him or her know that you are knowledgeable about the federal regulations. If after you've made these contacts, you are not satisfied with the response, contact the state organization responsible for care facility regulation and report the problem. They will investigate the problem and ensure that the facility complies with the rules. Because of the federal rules, even if your family member is in a Medicare or Medicaid facility, you have some clout because non-compliant organizations risk losing their funding if they are not compliant. Ongoing changes in federal rules assure that long-term care patients and their families have rights that can be enforced when it comes to the application of restraints. For instance, facilities will be more innovative in assuring patient safety by using electronic bracelets to limit wandering patients, giving appropriate medication to calm agitated patients, and providing other non-restrictive nursing interventions as an alternative to restraints.